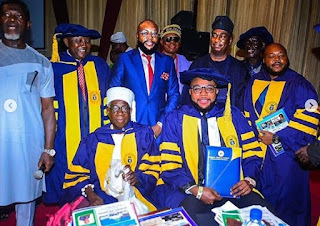 Emeka Okonkwo aka E-Money has received an honorary doctorate degree from the University of Lagos, UNILAG, at an event attended by notable personalities. 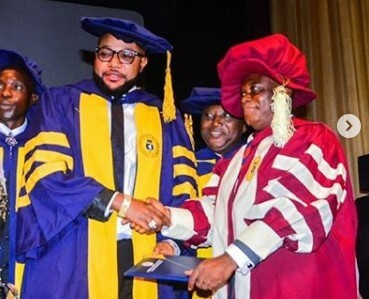 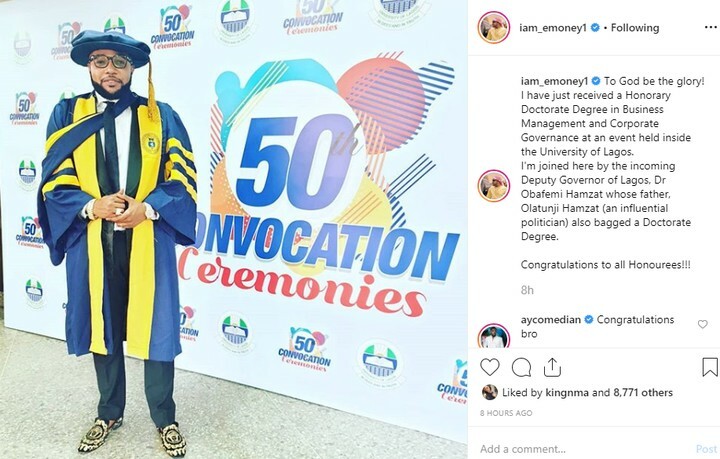 E-Money who shared photos from the event on social media, disclosed that he received an honorary doctorate Degree in Business Management and Corporate Governance from UNILAG. 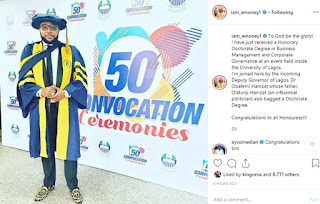 He also revealed that the incoming Deputy Governor of Lagos, Dr Obafemi Hamzat's father, Olatunji Hamzat (an influential politician) also bagged a Doctorate Degree.